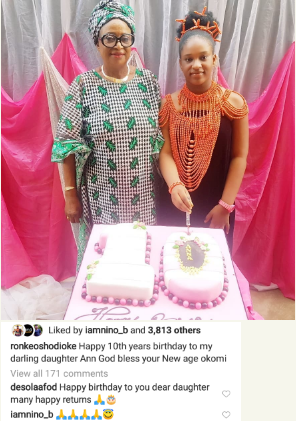 Big, bold and well endowed Nollywood actress, Ronke Oshodi oke is overjoyed as her daughter, Ann clocks ten years old today. 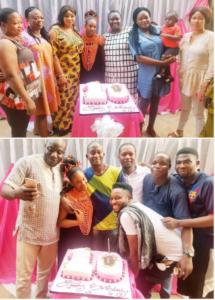 The beautiful actress who is known for her great interpretation of movie roles as well as her no-nonsense attitude, was sure to celebrate her daughter in grand style. Check out the photos as released by the actress.